Are you creating your first recorded video interview? Or one of the firsts? Then you came to the right place! Why am I using video interviews? What information do I need to get from the candidates to make good recruitment decisions? What kind of impression do I want to give the candidates regarding our company? 1. Why should I use video interviews? Create sustainable number of questions, that's often 3-5 questions per interview. Read about example questions you could use. If you follow these guidelines, the interview process will be efficient and pleasant both for you and the candidates. Too many questions increase your workload often much more than what is the benefit received from the extra questions. Requesting long answers can lead to a situation where the substance of the answer is still pretty much the same, but the time spent on recording and screening the answers can be substantially longer. Setting a deadline within one week gives your candidates enough time to prepare and record the answers, but does not prolong the recruiting process too much. 2. What information do I need to get from the candidates to make good recruitment decisions? Think carefully what questions your are going to ask. 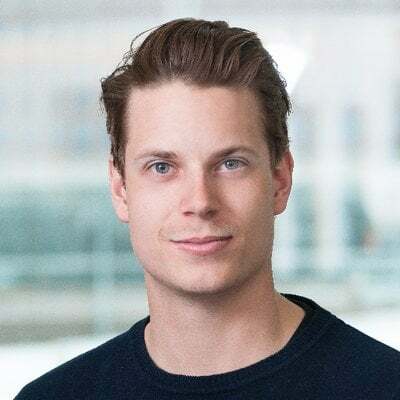 You are most likely only going to record a few questions and be receiving answers by the length of maximum of 2 minutes, so you should be very clear regarding the information you want to receive. What are the most necessary properties you are looking for? Make sure you get enough information about this first. What is you company culture like? What kind of personalities fit to your culture? Ask questions that also give the candidate a possibility to present their personality and values. Lastly, what are the features that separate people from each other? When applying to a certain position, most of the good candidates have the required qualifications, many of them may also fit your company culture. But what separates them? There are no easy answers here. Try to find out a way to gather information that you can use to make the required final decisions. Maybe ask what really motivates them, not just in work, but in life in general. Or maybe ask them to tell a story about a meaningful moment in their lives. 3. What kind of impression do I want to give the candidates regarding our company? Since you are not the only one making decisions here, you should ensure that the candidates will want to work for you after the recruiting process is over. Think about what kind of people you are looking for. What do you think is appealing to them? Is there something you can do to make your company seem more attractive? Videos are a great channel to provide the candidates positive images about your company and culture. Be approachable and humane. Recruiting process and video interviews can help you with your employer branding goals. It's common that the first video in the interview is not a question but an introduction or an employer branding video of some sort. This option provides you with a possibility to set the tone of the interview process and promote your company. Again, think about your candidates. What do they value? Can you provide something through the introductory video that would enhance the candidates' perception of your company? Videos are an efficient way to communicate and to deliver impressions. They can be an effective tool if used right. Video interviews provide you more information compared to many other pre-screening methods. 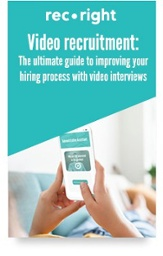 With video interviews you can interview more candidates than would be otherwise efficient. This leads to a situation where you already have a rather good impression on your candidates before the face-to-face interviews. That's why you can invite less candidates to the personal interviews and save more time. With modern recruiting processes both recruiters and candidates will benefit. Are you interested to read how our experienced video interviewers use the tool? Click the banner below to download our most recent Recruiter Survey!